In 2002, Pope Saint John Paul II travelled to Mexico City, to the Basilica of Our Lady of Guadalupe, to preside at the canonisation of Juan Diego who died in 1548. He prayed, “Blessed Juan Diego, a good, Christian Indian, whom simple people have always considered a saint! 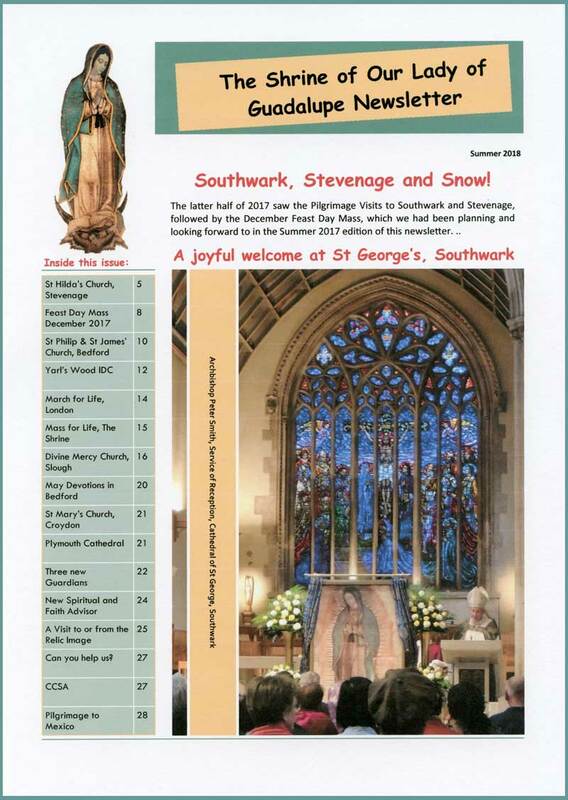 We ask you to accompany the Church on her pilgrimage in Mexico, so that she may be more evangelising and more missionary each day. Encourage the Bishops, support the priests, inspire new and holy vocations, help all those who give their lives to the cause of Christ and the spread of his Kingdom. “Happy Juan Diego, true and faithful man! We entrust to you our lay brothers and sisters so that, feeling the call to holiness, they may imbue every area of social life with the spirit of the Gospel. Bless families, strengthen spouses in their marriage, sustain the efforts of parents to give their children a Christian upbringing. Look with favour upon the pain of those who are suffering in body or in spirit, on those afflicted by poverty, loneliness, marginalisation or ignorance. May all people, civic leaders and ordinary citizens, always act in accordance with the demands of justice and with respect for the dignity of each person, so that in this way peace may be reinforced. St Juan Diego Cuauhtlatoatzin (1474-1548). Little is known about the life of Juan Diego before his conversion, but tradition and archaeological and iconographical sources, along with the most important and oldest indigenous document on the event of Guadalupe, “El Nican Mopohua” (written in Náhuatl with Latin characters, 1556, by the Indigenous writer Antonio Valeriano), give some information on the life of the saint and the apparitions. When he was 50 years old he was baptized by a Franciscan priest, Fr Peter da Gand, one of the first Franciscan missionaries. On 9 December 1531, when Juan Diego was on his way to morning Mass, the Blessed Mother appeared to him on Tepeyac Hill, the outskirts of what is now Mexico City. She asked him to go to the Bishop and to request in her name that a shrine be built at Tepeyac, where she promised to pour out her grace upon those who invoked her. 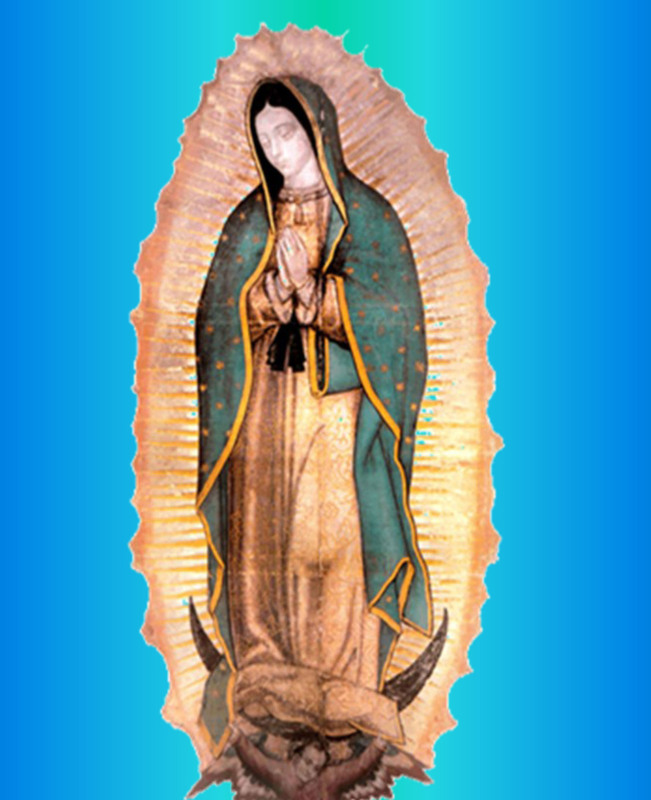 The Bishop, who did not believe Juan Diego, asked for a sign to prove that the apparition was true. On 12 December, Juan Diego returned to Tepeyac. Here, the Blessed Mother told him to climb the hill and to pick the flowers that he would find in bloom. He obeyed and, although it was winter time, he found roses flowering. He gathered the flowers and took them to Our Lady who carefully placed them in his mantle and told him to take them to the Bishop as “proof”. 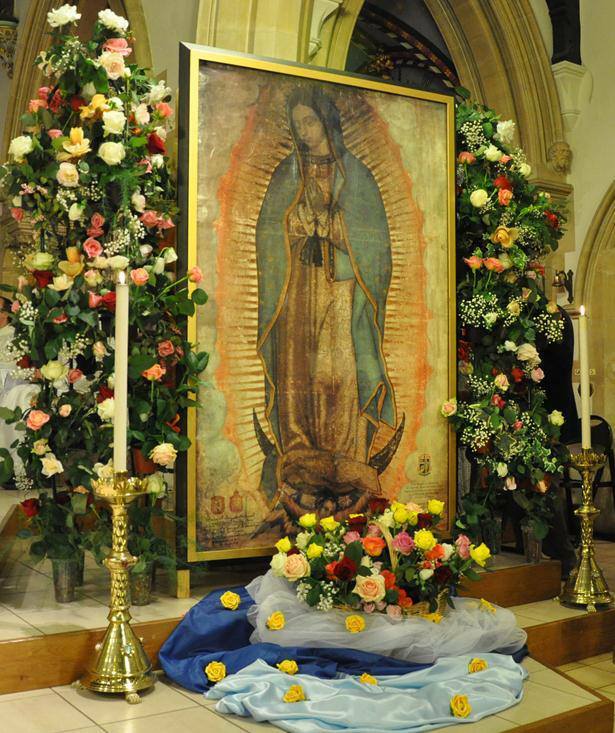 When he opened his mantle, the flowers fell on the ground and there remained impressed, in place of the flowers, an image of the Blessed Mother, the apparition at Tepeyac. Much deeper than the “exterior grace” of having been “chosen” as Our Lady’s “messenger”, Juan Diego received the grace of interior enlightenment and from that moment, he began a life dedicated to prayer and the practice of virtue and boundless love of God and neighbour. He died in 1548 and was buried in the first chapel dedicated to the Virgin of Guadalupe.